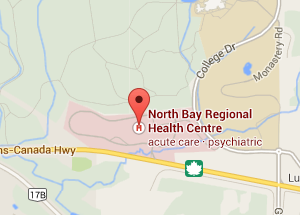 Smoking and vaping are not permitted anywhere on NBRHC property. 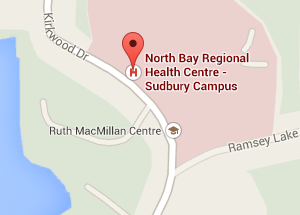 Staff, physicians, visitors and outpatients cannot have any tobacco products visible while on any NBRHC property. Patients are not permitted to bring tobacco products onto any NBRHC property. If you smoke on NBRHC property, you could be fined. See property line maps. 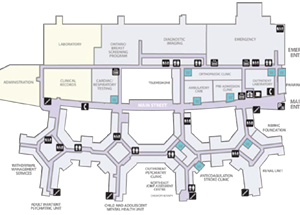 We understand this may be difficult for you while you are a patient here. Your health care team is committed and trained to provide you with supportive measures during your stay. These include nicotine replacement therapy (NRT) and smoking cessation information. 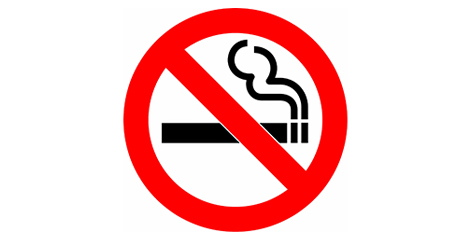 In accordance with the Smoke-Free Ontario Act, this policy acknowledges the traditional use of Tobacco that forms part of Aboriginal culture and spirituality; therefore, culturally related use, purchase or cultivation of tobacco will be permitted for clients/patients, NBRHC personnel, students, and visitors under the supervision of NBRHC’s Aboriginal staff / Aboriginal Services staff. Examples include offerings for prayers, guidance, ceremonies and participation in research. any other product or device that simulate the act of smoking (with the exception of approved smoking cessation medications, such as the nicotine replacement therapy inhaler). The restriction on smoking or holding lighted tobacco on the outdoor grounds of a public hospital, a private hospital or a psychiatric facility does not apply to tobacco used for traditional Aboriginal cultural or spiritual purposes.